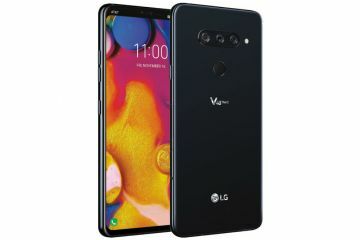 Over the last century the way people think about phones and how they use them in their daily life has gone through some very interesting changes. Even in my own lifetime I can see this. 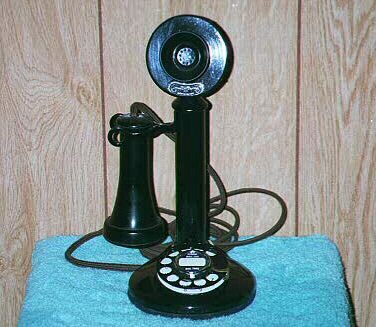 Before I was born in the early 1900’s when Telephones were just becoming a common device in peoples homes the user would lift the speaker from it’s hook and place this against their ear while talking into the part shaped like a curved tube. People would say they were, “Getting on the Horn” – an Idiom which seems about 100 years old as near as I can find. During the 1920’s and 30’s – and maybe earlier as it seems to be an expression from England later used in American gangster films – people would “Get on the Blower”. I love how terms for devices get inserted into daily vocabulary. 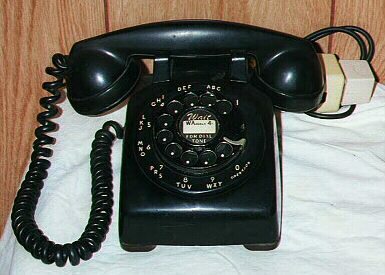 I grew up with a black telephone from the 50’s because that’s when my family bought that house. The phone was in the foyer hallway – in an honored place sitting on it’s own special little table. And the rotary dial was metal. I can still remember the sound as it spun around. It had a real solid, heavy metallic swoosh. Almost like a knife being sharpened with a stone. My Grandmother would “threaten” to call the police if I and my brother (upstairs in our bedroom) wouldn’t fall asleep like we were supposed to. I couldn’t see her, of course, but I knew she was holding down the buttons – preventing a call from being engaged as she turned the dial. I could hear that deadly swoosh. I knew she was getting pissed off and certainly much more dangerous than any police. So we stopped talking and went to sleep. Ah, the fond memories of my youth! I don’t recall when a phone was installed upstairs but it was a wall phone and placed in the hallway. Imagine that. You actually had to GO to the phone to get calls. And I was a very boring teenager. I hardly ever used the phone. Some of that is probably because my Grandmother reminded us all that PHONES ARE FOR ADULT BUSINESS. Well, I was a bit inhibited about using phones for a long time, but I think I got over that. When I moved into my first apt I installed phone wiring all over the place in order to have phones in several of the rooms. Unlike the black phone I grew up with the phones in my apt had modular plugs and could be inserted in any room that had a plug. And then came cell phones. Notice the progression here. You used to GO TO the phone to use it, now it COMES with you. And the differences are more subtle than that. Because phones do more than let you talk to people the design and GUI have evolved past a box with a “horn”. Everyone familiar with cell phones knows how to use it almost out of the box. At this point in cell phone history we all expect interfaces with menus, windows, key presses and so on. But even this is about to be surpassed. 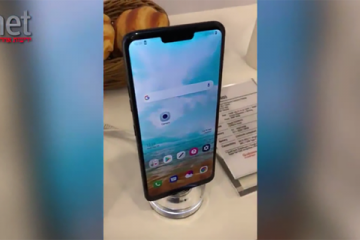 Synaptics and Pilotfish have collaborated in developing what they call the “Next Generation Mobile Phone Concept”. Synaptics invented a “ClearPad” which is a high resolution capacitive touch screen. Because it’s thin and solid state, it can be curved. There’s the potential for some Very interesting designs! Using this pad on a device means No Buttons necessary! The pad is sensitive enough for finger input, gestures (! ), sensing shapes, and even text entry. I’ll have to see how THAT works. I like the idea that putting your cell phone against your face will Answer the phone or make a call. You’ll be able to assign gestures or finger taps to certain functions. What I like about this concept is that how you use your device becomes completely personal. The system responds to Your desires, your requirements, your needs. As I see it because this GUI is software you may be able to upgrade your device easily. No more complaining about the buttons being too small for big fingers. Software means scaling of any hot spots to accommodate any size finger or body part. The mind boggles! Apparently the prototype phone can have more than one application open at once. This sounds very “Amiga-like” – for those of us who remember that clever multitasking machine. I love this idea because I’ll be able to copy info from one application into another easily. There’s been times when I wished I could copy a link found in OperaMini into my Contacts list, for example. Not being able to multitask feels clumsy and annoying, especially for those of us who have been spoiled. Cellphones are portable computers and should act like accordingly. This “ClearPad” is a step in the right direction.